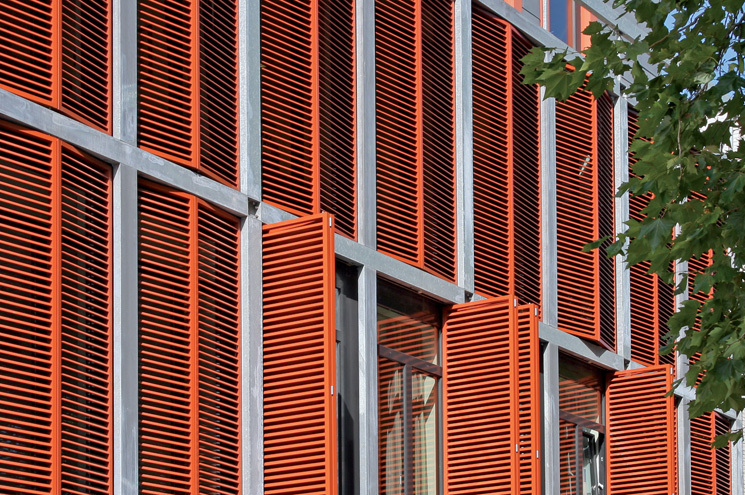 Hunter Douglas Sliding Shutters blend style and functionality - inside and out. 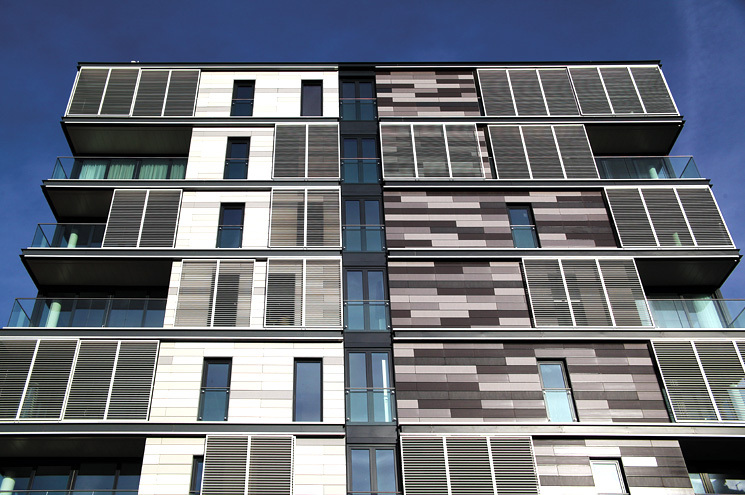 By providing building exteriors with a futuristic look as well as offering optimal solar effectiveness for maximum internal comfort, Sliding Shutters offer a total building solution. 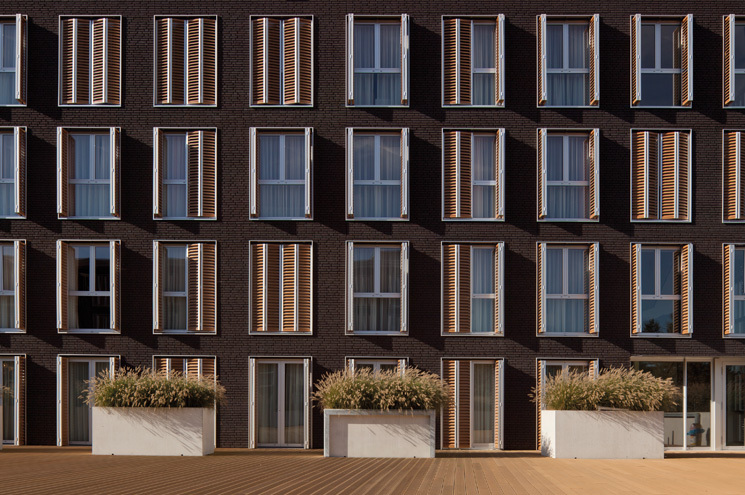 The HunterDouglas® Folding Shutter provides the architect with a very dynamic form of external sun control. 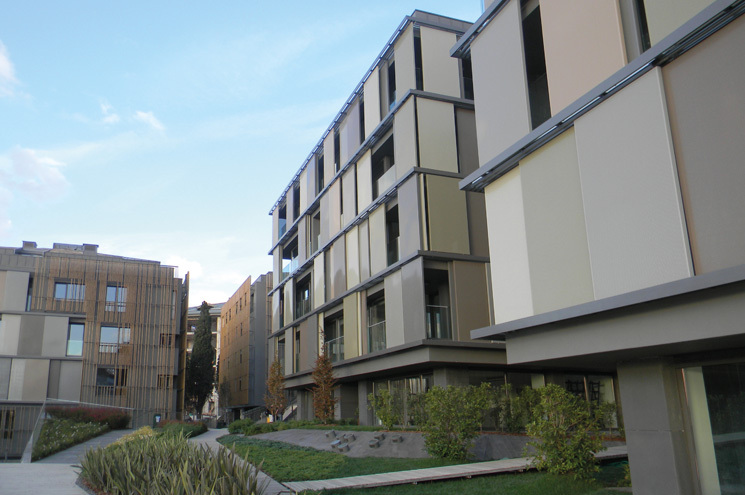 Opening or closing the shutters will instantly and dramatically transform the appearance of the façade. 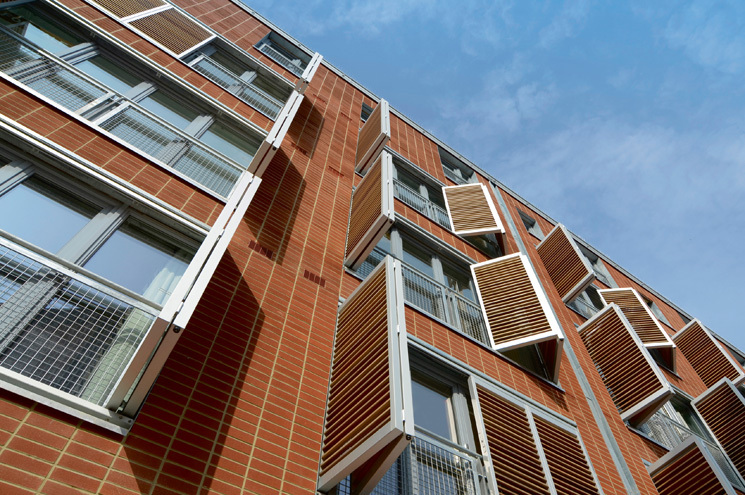 Allowing maximum outward view when opened, the shutters offer effective control of heat and light when closing fully flat into the façade. Shutters are a mainstay of traditional construction and were relied upon for their insulation and their appearance. However, with the abundance of glass in modern architecture, proper sun protection and a certain amount of privacy are important to create an internal comfort. 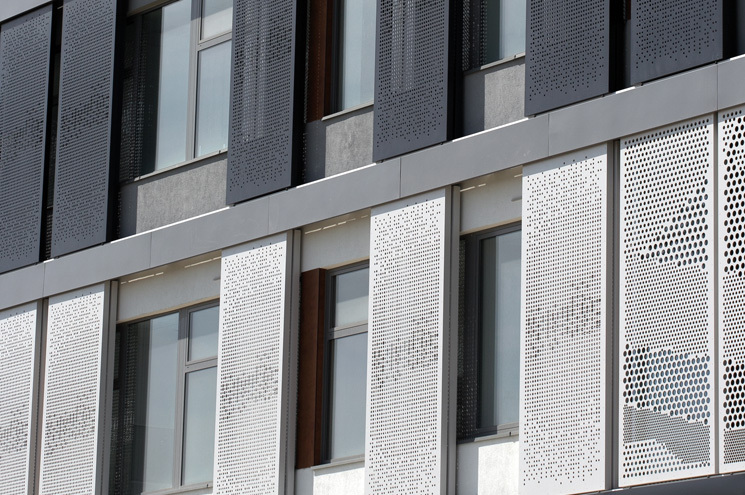 Our sliding and custom designed folding shutters provide these elements while creating distinct looks which add to the building’s appearance.